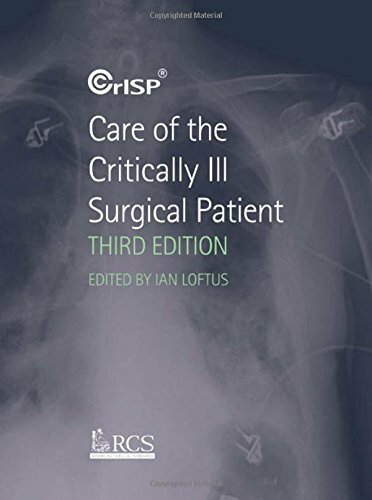 A new edition of the definitive manual for the Care of the Critically Ill Surgical Patient (CCrISP) Course of the Royal College of Surgeons of England. This new edition of the Care of the Critically Ill Surgical Patient (CCrISP) course manual has been fully updated and revised by a multidisciplinary team of surgeons and anaesthetists. It remains true to the original aims of the course: to encourage trainees to take responsibility for critically ill patients, to predict and prevent problems that patients might encounter while in hospital, to function well within the surgical team and communicate effectively with colleagues from other disciplines. CCrISP is a valuable adjunct to traditional ward training and continues to provide young surgeons with the structure and confidence they require to safely and effectively care for their patients on the ward and in theatre. Designed to develop skills that are necessary in the management of critically ill patients, CCrISP integrates knowledge, practical skills, communication and leadership.